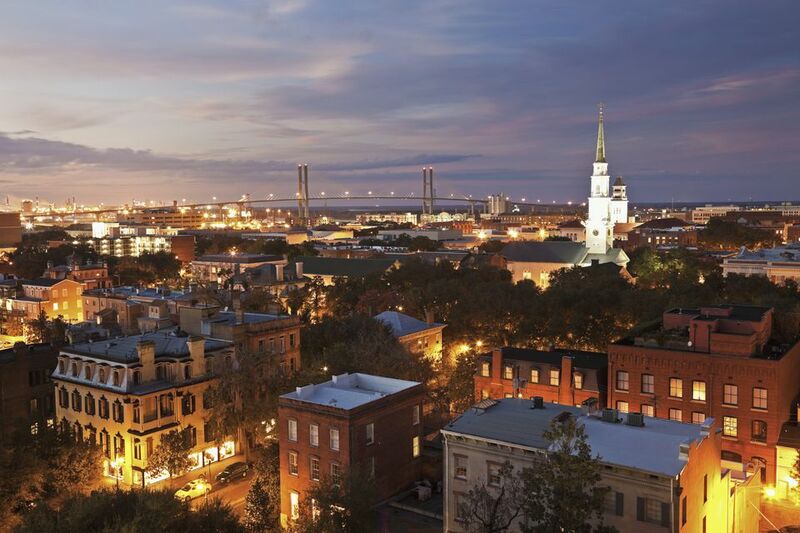 A Vacation Budget for Four Days in Savannah, Ga. In this installment, four friends travel to Savannah, Georgia for three days of sun, ghost stories and delicious southern food. 3 p.m. Everyone is sunburned and dehydrated, so we pack up, head to our AirBnB in the historic district and start Yelping spots for dinner. Our AirBnB was built in 1842, so needless to say, it’s pretty spooky. I’m definitely going to see a ghost on this trip. 11:30 p.m. After two hours of walking Wormsloe’s beautiful trails, we’re starving. Before lunch, we stop by Bonaventure Cemetery and visit the famous Little Gracie grave. 1 p.m. We eat lunch on the front porch and lounge for a few hours. We need to rest up for the southern food feast and haunted walking tour later! 2 p.m. We drive back to Savannah to nap, prep for dinner and drink a few beers on the porch. We’re planning on going to the Olde Pink House, which is supposed to have amazing food and lots of resident ghosts. 8 p.m. We head to Crystal Beer Parlor for a pre-dinner drink. Their list of craft beers certainly does not disappoint. 10:30 p.m. Time to head home to drink free(ish) beer and mess with Snapchat filters. 7:30 a.m. Our flight is at 5 p.m. and we have lots of activities to pack into the day, so we wake up early, check out of the AirBnB and hit the road. 3:56 p.m. The rental car is due back at 4 p.m and we arrive at the drop-off with a mere four minutes to spare. Late fee averted! 9 p.m. The flight is finally ready for takeoff. It’s a super short flight, but we’re sandy, sweaty and exhausted. Yuck.